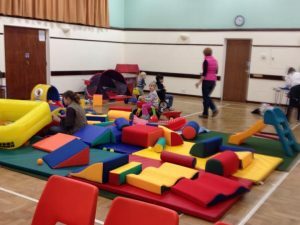 Hucclecote Playworld is an under 5’s group that runs in the Main Hall throughout term time. 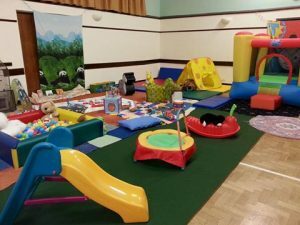 There’s a soft play section, trike’s & bike section, creative play section and of course a seated area for drinks, snacks and cakes which can be purchased from Lj’s Cafe. Sessions cost £3 for one adult and child (50p for additional adult or child). 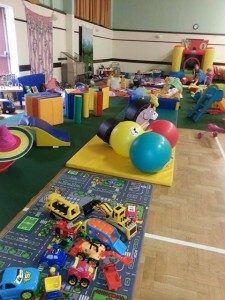 Nippers is also an Under 5’s group runs on Thursdays 10:30-12noon in the Moulder Room during term time.